Luna Park was a legendary amusement park of the early 20th century at Coney Island, NY. When the original Luna Park opened in 1903, visitors entered through a large archway to walls with 250,000 lights and canal full of gondolas like Venice, Italy. Revolutionary for its time, the main attraction was called “Trip to the Moon”, where visitors were transported on an imaginary flight on an enormous spaceship with flapping wings. The park drew people in the millions, including notables such as Thomas Edison and William McKinley, the US President at the time. Sadly, the original park burned down in 1943 and was not rebuilt due to a shortage of building materials during World War II. 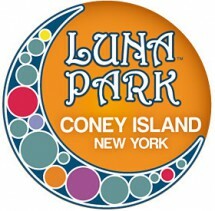 In 2010, a new Luna Park was built close to the original location and is now home to 19 major attractions of the spinning variety. Since the new Luna Park opened, maintenance on the attractions was tracked and recorded using a paper based system. “The main issue with a paper-based system is it’s time-costly”. It was difficult to search what was completed on the assets and challenging to plan upcoming preventive maintenance. The paper-based system was eating up too much time from our existing resources. Without access to past maintenance data, it is difficult to streamline processes and free up more time. “It was time to go digital!”. To improve efficiency and to have a greater insight into maintenance activities, in July 2012, the park began looking for an amusement park CMMS solution that would fit the needs of a company its size. The new Mechanical Summer intern was immediately tasked with researching, selecting and then configuring a suitable preventive maintenance software package for the park. Mikelann, who is about to enter her final year in Physics and Mechanical engineering, had no experience with equipment maintenance. She faced the daunting task of filtering through the large number of CMMS providers and selecting the right one for the park. “I tested a number of cloud-based CMMS packages but I found them overwhelming. They had too many options and features. Fiix looked very user friendly from the outset. It was easy to visualize in advance how it would work at the park”, says Mikelann. “During setup, I looked at the support videos and procedures but I was able to figure out the system quickly myself by playing around with it.” Their amusement park CMMS has been designed to be user intuitive so organizations can get up and running quickly. “Whenever I needed help, I rang tech support and got through to someone straight away”, says Mikelann. For phase 1, Mikelann entered all the information for the major assets at the park. The system now tracks maintenance for the 19 major rides and inventory levels for 350 parts. The games, buildings and other park infrastructure will be entered at a later date. “It was easy to populate the system with the information and I couldn’t believe how painless it was to set up scheduled maintenance. The features are simple to use and the search tool makes it easy to find assets in the application”. Less than 2 weeks later, their amusement park CMMS was providing important maintenance information for each thrill ride, which was now tracked digitally in Fiix. Regular inspections and services will be performed when triggered by the CMMS as per the manufacturer’s recommended maintenance schedule. “It is a lot easier to find information in the CMMS than sifting through paper.” Scheduled lubrications, tests and measurements are also carried out to prevent faults from occurring during peak visitor periods. As the maintenance actions are logged in the system, it will become a valuable resource to find maintenance history on each asset. The maintenance team can also pull real time information from the system such as parts inventory levels. The implementation project was successfully completed in less than 3 weeks, from searching “amusement park CMMS” on Google, to rolling a populated CMMS out to the maintenance team. Mikelann has demonstrated how Fiix can be implemented effectively in an organization, regardless of maintenance experience. The maintenance team is already using the desktop and mobile versions on a daily basis and expects to optimize the configuration over the coming months. “The mobile app is simple to use and gives them just what they need in the field. They can sign off tasks as they complete them”, says Mikelann. The CMMS has a work order focused dashboard that shows them exactly what work is due. They can pull key metrics such as scheduled maintenance critical percent, mean time to repair and mean time between fails from the reports tab. Encouraged by the success so far, the maintenance team hopes to add the remaining assets and infrastructure to the database over the coming weeks. Fiix provides cloud-based maintenance and asset management software to over 20,000 customers around the world in 10 languages. Founded in 2006 and headquartered in Toronto, Canada, Fiix’s products are used by organizations of all sizes to properly handle corrective, preventative and condition-based maintenance for equipment and assets.